Long shadows at noon. Sketchbook Helsinki 2010-11-26, originally uploaded by Brin d’Acier. For the next month or so, the sun manages just barely to climb over the horizon. 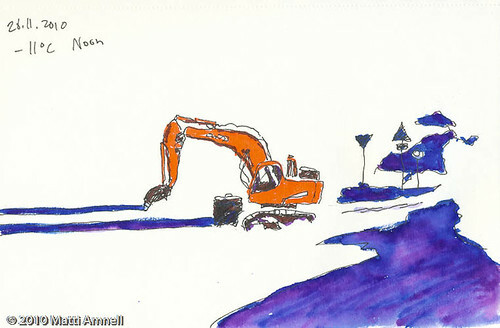 This entry was posted in Sketch of the day, Sketchbook and tagged espoo, finland, helsinki, ink, landscape. Bookmark the permalink.